Craig and I teach a weekly seminar most weeks which provide a brief overview of using ACISS, shell scripting, python, Matlab, and whatever else those in attendance are interested in. However, to provide more depth in your scientific career there are several computer science courses offered that provide the depth that Craig and I simply don’t have the time to cover. 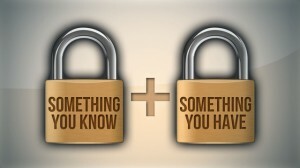 There’s a special moment in every operating system’s life when it loses its innocent .0 status and grows up. 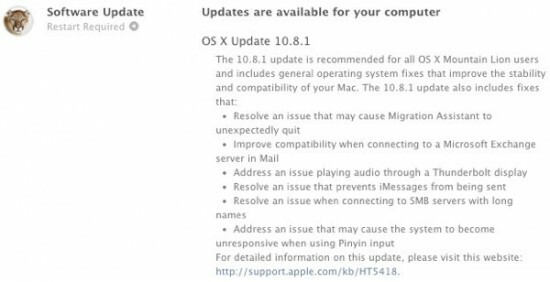 It’s OS X Mountain Lion’s turn to mature, as Apple has just pushed out the 10.8.1 update for early adopters. 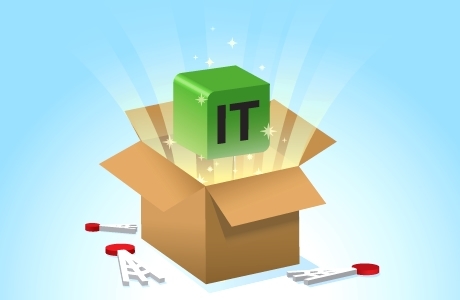 Most of the fixes are for issues that plague specific use cases, such as audio output from a Thunderbolt Display or crashes in Migration Assistant. There are a few remedies that a wider audience might appreciate — a fix for iMessages that don’t send and an improvement to Exchange compatibility in Mail, for example. We don’t yet know of any surprises lurking underneath, but it can’t hurt to have a smoother-running Mac while we investigate. The University of Oregon has installed a new system in its Matthew Knight Arena that will broadcast HD and rich media, in real time, to more than 140 digital signage players throughout the 12,000-seat venue. Nathan Dunn and I (Craig Rasmussen) are starting a team of scientific programmers to help the science faculty and their graduate students with their programming and educational service needs. Hopefully, we can be of benefit to the research activity that is taking place within the college. Our overall goal is to foster the growth of scientific computing at UO and within the College of Arts and Sciences in particular. This includes departments — that perhaps — are not often associated with large computational needs, like geographers, economists, anthropologists and sociologists to name a few. Initially, we are spending time getting acquainted with folks and discussing the computational needs within individual departments. Meetings can be set up by emailing either Nathan or myself. So far it looks like there is an initial need to tutor graduate students in how to use the available computational services at UO, including the ACISS facility. Starting next week we will begin providing set hours when students can meet with us and we can share our common knowledge. We will start by going over basic Unix and scripting skills and later move on to talking about how to think about exploiting parallelism within a program. The general idea is to provide a supportive environment where students can improve their programming skills and knowledge. We also hope to learn from attending students about how computation can be used to improve the quality of research within their various scientific disciplines. What does CASSPR (pronounced like casper the friendly ghost) mean? I’ve already forgotten but I’m sure Nathan will remember. Please come visit us on the fourth floor (440C and E) of McKenzie Hall and say hi. 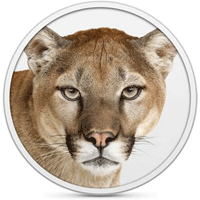 OS X Mountain Lion: The world’s most advanced desktop operating system gets even better. And makes the Mac, iPad, and iPhone work even better together. Come learn about OS X Mountain Lion and how to deploy it for for Fall 2012. 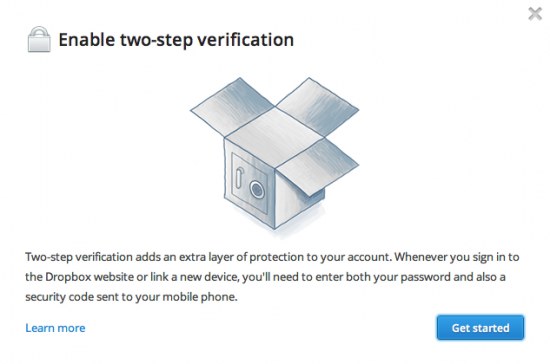 See how OS X Mountain Lion integrates with iOS, and how you can manage both OS X and iOS devices. 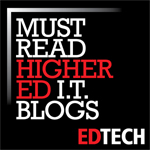 Want your own campus website, check out UO Blogs. 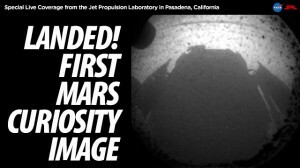 The Mars Curiosity Rover has landed successfully! And here’s the first image, from the hazard cameras that will help it navigate through the surface of Mars. This is a phenomenal achievement. And here are the first images! The image shows the shadow of the rover, securely positioned on the surface of the red planet. It seems like a boring image, but it’s extremely important. It means that everything is ok, that the rover is on firm ground and ready to start moving when Mission Control gives the order. It’s also the pinnacle of the landing, perhaps the most amazing achievement in planetary exploration after the Apollo missions.